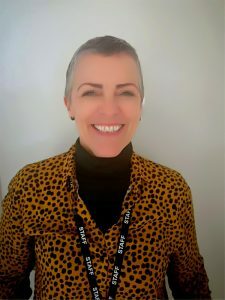 Melanie has 19 years of experience within the creative sector of education, consisting of teaching, coordinated and running programmes with schools and FE/HE institutions. Mel’s passion is Fine Art & Invisible Architecture and she graduated with an MA in 2004. Her creative passion has given her the skills and knowledge to build South West Art Warehouse Ltd into a successful Independent Training Provider, which facilitates pre - and post- 16 learners. The facility is accessed by a variety of academies’ and external institutions. Over the last six years Mel has been the manager of SWAW and became a Director in 2016. More recently Mel became a Director for Aspire2live CIC, where she is able to use her passion for developing relationships with external institutions, creating partnerships and service level agreements and contracts, to the benefit of the organisation. Melanie’s background has enabled her to write Quality Improvement Plans; Senior Annual Reviews; Annual Course Reviews; plan curriculums; manage the company’s academic and staffing structure; coordinate staff appraisals and CPD; quality assure; service agreements; contracts; funding models and managing the company’s budget and accounts. Mel’s tenacity for research has provided knowledge relating to government polices including JCQ, GDPR and preventing and safeguarding. Melanie is a highly motivated person who enjoys working with a wide range of people in a variety of roles. She carries out voluntarily work with the BBC, Water Aid, homeless charities within Plymouth, and she is currently working with a small organisation, which focuses on the elderly. All of these experiences have given Mel an understanding of the social mobility needs within the region. Mel is keen to add her skill set to the DCTPN Board to support the Network in achieving its goals and ambitions. She is keen to add her voice in order to represent the independent provider sector and to help facilitate greater partnership working.